Background and aims. The purpose of this study is to assess the frontal and parietal ECoG spectrum (gamma range) changes during isoflurane and combined xenon-isoflurane anaesthesia in rats. Methods. Experiments were carried out on four adult male Sprague-Dawley rats (250-300 g). The anaesthesia was induced with isoflurane and maintained with isoflurane and a xenon-isoflurane mixture. The rats were maintained at two different anaesthetic depths: light (isoflurane anaesthesia) and deep (isoflurane and xenon-isoflurane anaesthesia). The frontal and the parietal cortical activity was assessed by computing the median frequency, spectral edge frequency and functional connectivity between these two areas during light and deep anaesthesia. Results. We noticed a decrease in cortical connectivity under deep isoflurane anaesthesia and an increase in connectivity under deep xenon-isoflurane anaesthesia. 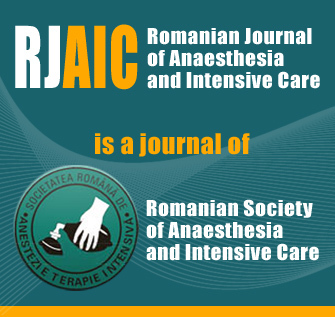 Moreover, during xenon-isoflurane anaesthesia, a trend of regularity of electro-cortical activity was present compared with isoflurane anaesthesia. Conclusions. Xenon-isoflurane deep anaesthesia demonstrated a series of specific ECoG features regarding frontoparietal functional connectivity (gamma range connectivity increase) and regularity of the electrocortical activity compared with isoflurane anaesthesia.